The Manga Fashion Bible is "manga chic" at it's best. Through clear and appealing illustrations, best-selling art instruction author Christopher Hart gives beginning artists exactly what they need to draw manga characters with modern style. Packed with tutorials, this book offers many exciting drawing projects for the aspiring manga artist, from the classic outfits worn by popular manga characters to the edgy trends emerging from Tokyo. Chris begins by teaching how to draw glamorous eyes and chic hairstyles as well as the stylized fashion figure, different body types, and poses. He then goes on to guide artists through essential fashion concepts such as mixing and matching outfits, accessorizing, and creating complimentary color schemes. These tutorials cover the must-know elements of creating an exciting wardrobe for all seasons and demystify topics that typically puzzle beginning artists, such as how to draw the creases and folds of clothing and how to draw patterns on fabric. There's even a Troubleshooting Guide included that shows how to tackle common problem areas such as female hands and shoes. 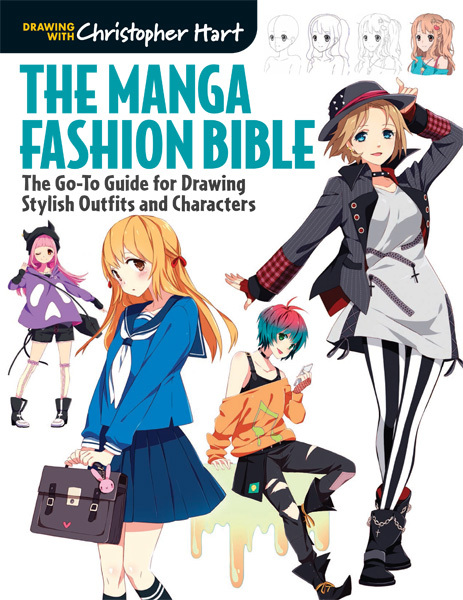 Using the contemporary fashion strategies in this book, manga drawing fans will quickly learn how to transform their basic manga characters into modern fashion plates.